It&apos;s definitely shorts and t-shirt weather in Valley Forge and Montgomery County this weekend. But make sure your ensemble includes sturdy walking shoes because there are plenty of reasons to get out and explore things to do, see, hear and especially taste. The ample menus of Ambler have made it a not-to-be-missed place for a great meal. Ambler Restaurant Week began July 11, but this Friday-Saturday-Sunday period is probably the most convenient opportunity to dig in. More than a dozen chefs - including those at Dettera Restaurant and Wine Bar - will plate their best dishes, at prices that won&apos;t drain your vacation budget. Is there anything more exciting than a theatrical opening night? 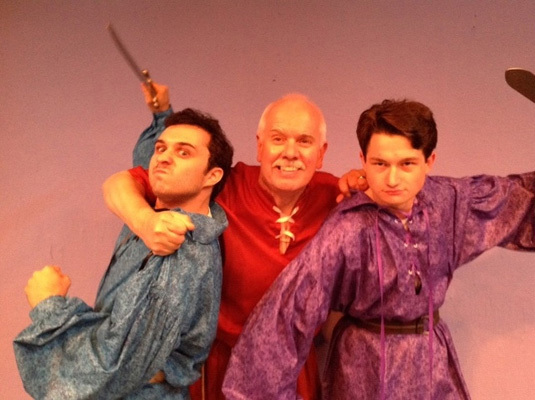 The talented company of the Playcrafters of Skippack bring to life Shakespeare&apos;s magical tale of A Midsummer Night&apos;s Dream. The comedy features fairies and sprites, love potions and plot twists, a play-within-a-play and a character turned into a donkey. Midsummer continues to July 30. When Act II Playhouse mounts a new production, it&apos;s generally best to see it sooner rather than later, as tickets become harder to obtain over time. That is surely to be the case with Broadway on Butler 2016, which has a hard close of July 24. A talented cast of three performers riffs through musicals that cover everything from Irving Berlin to Wicked. 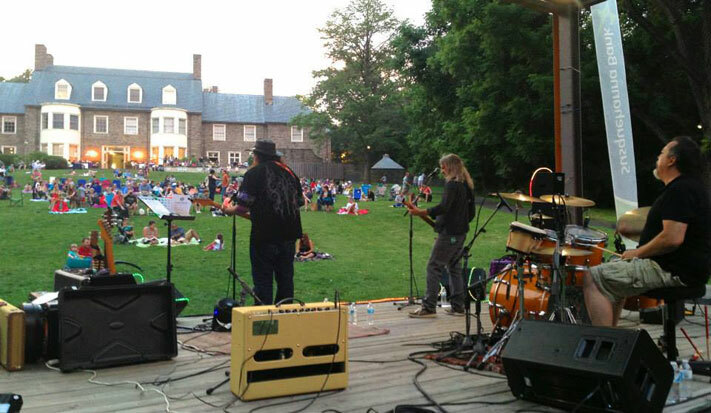 The Susquehanna Bank Stage&apos;s summer concert series kicks off the 2016 season at the Abington Art Center with Jake&apos;s Rockin&apos; Country. These good-ole musicians have verifiable rockabilly skill with steel guitar, fiddle, drums, bass, guitar, piano and vocals and a set list that ranges from bluegrass to rock. Fly on over to Perkiomen Valley Middle School - East (100 Kagey Road, Collegeville) for a production sure to set your imagination soaring. It&apos;s Peter Pan, in all his musical, swashbuckling, tick-tocky, adventurous, pixie-dusted glory. Methacton Community Theater&apos;s evening performances are at 7:30; matinees at 2 p.m. This weekend, Glencairn Museum&apos;s ongoing exhibit relates to the founding of the borough that we now know as the Bryn Athyn Historic District. Take a deep dive into the area&apos;s familial history, in celebration of its 100th anniversary. The display includes the actual Welsh-English dictionary used to create the name "Bryn Athyn" itself. Chances are you&apos;ll see, hear and sniff this event well before getting onsite at Station 38 (401 Washington Street). That&apos;s not surprising, considering the whirling, blazing rides, the talented live-music lineup and the great food. One of the many draws is bingo, which, by Saturday night, should be featuring a large jackpot. The carnival at Sacred Heart Church, Royersford, runs Thursday-Sunday with rides, games and food. But it comes to a big-bang ending on July 16 with a fireworks display at dusk. The church is at Lewis Road and Walnut Street, and the pyrotechnics show is free. Graham Nash is a two-time Rock and Roll Hall of Fame Inductee and two-time Songwriter Hall of Fame Inductee, Grammy Award winner, a New York Times best-selling author and Officer of the Order of the British Empire (so that&apos;s Sir Graham Nash to you). He&apos;s currently on tour, promoting a new studio album This Path Tonight, and the Keswick Theatre has him front-and-center. 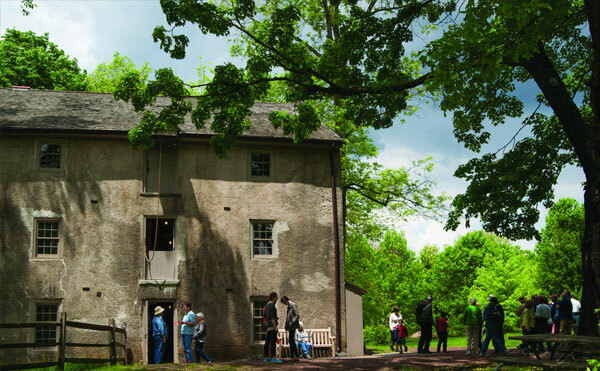 Morris Arboretum will help you escape from the workday grind. It&apos;s Grist Mill Day, when the 160-year-old Springfield Mill cranks to life to turn corn into flour. Best of all, the end product is then baked into muffins for visitors to sample. Hours are 1-4 p.m.
Baby boomers! Here&apos;s a chance to meet one of the pop icons of the late 1960s and early 1970s. The colorful and distinct artwork of Peter Max is on display at Wentworth Gallery in King of Prussia. Max&apos;s psychedelic style encapsulated an entire era, reflected in print, portraiture, advertising and even such films as the Beatle&apos;s Yellow Submarine (1968). Got a history buff in your circle of friends? Bully for them! The quaint setting of Pennypacker Mills is the ideal location to spend some time with Theodore Roosevelt, the 26th President of the United States. The Hero of San Juan Hill will join participants with a sip of tea served by period-dressed hosts and hostesses while speaking about his life and times. Following the remarks by TR, guests can engage in a Q&A and pose for pictures. Originally named "Whitemarsh Estate," Hope Lodge is a Georgian country mansion built between 1743 and 1748. During the autumn of 1777, Washington&apos;s Continental Army spent six weeks camped at nearby Whitemarsh. During the encampment, Hope Lodge was used as both a hospital and officers&apos; quarters. The estate is not open year-round (it closes October-April), so visitors need to take every available opportunity - especially summers - to explore this significant space. Having trouble keeping the kids bzzzy this summer? Take them to Norristown Farm Park for this sweet program on honeybees. The park&apos;s resident beekeeper will also explain how to get involved in starting a hive at home, a great hobby that not only benefits the local ecosystem but can be financially rewarding as well. Link these events together for an entire weekend escape. Then, check into a Montgomery County hotel that puts you in close proximity to all that&apos;s going on. You&apos;ll not only have an easy commute to all that&apos;s happening, you&apos;ll also have a comfortable and relaxing retreat when you need to ease back the pace a little.